We are always accepting donations! Currently, our greatest needs are refrigerators, Pac-N-Plays, infant beds, toddler beds, twin sheet sets, towels, washcloths, and twin mattresses and box springs. All donations are tax deductible. Make a recurring gift by using the “Donate” button to the right. Your gift of securities entitles you to a federal charitable income tax deduction. You are allowed to deduct the full fair market value of your gift when you make a gift of appreciated securities, as long as you have owned the securities for a year or more. You may use your deduction for up to 30 percent of your adjusted gross income. You are allowed to carry any unused deduction forward for up to five additional years. You will not be required to pay capital gains tax on the stock you donate. 1. Discuss tax related issues with your attorney or accountant. 2. Authorize your stock broker or your bank to complete the transfer process. 3. Instruct your broker/bank to call 765-284-3345 and speak with WaTasha Barnes Griffin. Please enclose a letter stating the purpose of your contribution. In a separate envelope, please include a signed stock power form for each gift. Your broker or banker will be able to provide you with the form. My Gift is in Process – What’s Next? Choose from many giving options, including naming the YWCA Central Indiana as a beneficiary in your will and more complex trust arrangements that provide life-long income. Help us secure the future! 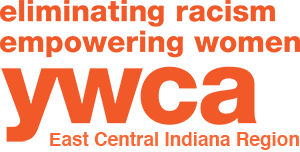 Please use the form below to donate to the YWCA Central Indiana.